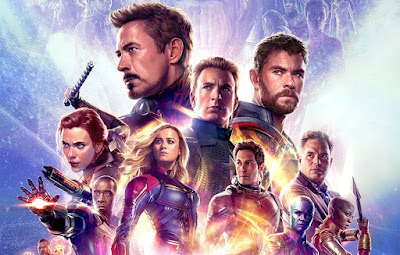 It's been a while since I've updated this blog, but after seeing the truly awesome movie that is The Avengers, I had to write up my thoughts. But thanks god, Marvel and Joss Whedon nailed it. In fact they knocked it out of the park. The Avengers is an incredible film. Each of the main characters get equal moments to shine, with Iron Man and Captain America taking on the leading roles. If anything Bruce Banner / Hulk gets the least screen time, but it doesn't matter, I guarantee you that Hulk is the character you remember the most when you leave the theatre. The Hulk has several awesome moments where the whole audience erupted with laughter/applause. The Hulk is easily the star of the last 20 minutes. As for Loki, he is a menacing opponent and is in more of your typical super-villain mode than he was in Thor. However the fact he holds his own against 6 huge stars is testament to how well he plays the role. A huge surprise was how much action and special effects are in the film that hasn't been in any of the trailers or promotional material. Usually the big money shots are always how movie studios sell a film and there is some incredible stuff in here not even hinted at in the adverts. It was an extremely nice surprise. The movie really does have everything you'd want from a film of this scale containing these characters and with a five movie build-up. As the film went on, it almost ticked off every possible combination of hero vs villain, hero vs hero scenario you could ever dream of! Truly magical and spell-binding stuff for a comic book movie geek! One major problem I think Marvel now face is how to follow this, the sheer scale of the film combined with the dynamic created by the team will make any of the future solo film seem underwhelming. As great as Iron Man 3, Thor 2 or Captain America 2 may be, they have any extremely tough act to follow and will always be judged based on this. The only slight criticism you could probably aim at The Avengers, is that if you haven't seen the previous Marvel films you may be a little lost for who everyone is and there motivations. This is a minor quibble, and for most people will not be a problem. The Avengers is easily the best Marvel movie yet, and with the exception of The Dark Knight one of the best comic book movies!